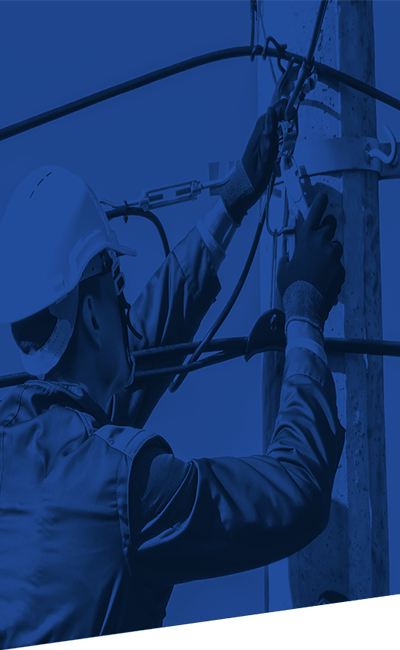 We are a full-service provider of aerial cable placement (new), overlash (to existing cable), splicing, and new pole placement. In addition to being able to build and repair, we have trusted and successful experience engineering new aerial systems as well as designing system upgrades for our clients. We are equipped with the technology to conduct pole audits and gather other necessary information, thereby making the pole permitting process much more efficient. Our fleet of aerial units ranges in size from one-ton lift trucks to heavy duty lift trucks, enabling our crews to enter tight spaces safely or pull longer aerial spans..
Subsurface conduit and cable placement seems to have become the preferred method of facilitating digitized information technology. 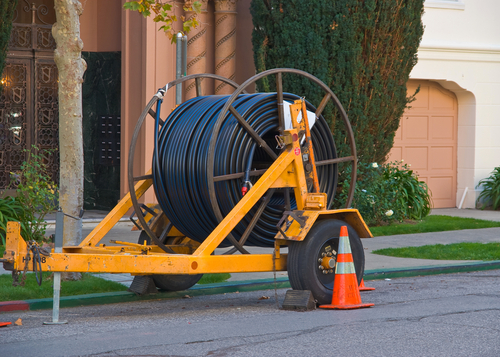 Directional drilling has made it possible to place buried cable without disturbing existing surface structures such as sidewalks and roads. We have a fleet of directional drills ranging from small units that function great in smaller areas such as neighborhoods and business areas. We also maintain a fleet of larger all-terrain drills with hammering capabilities to penetrate solid rock. 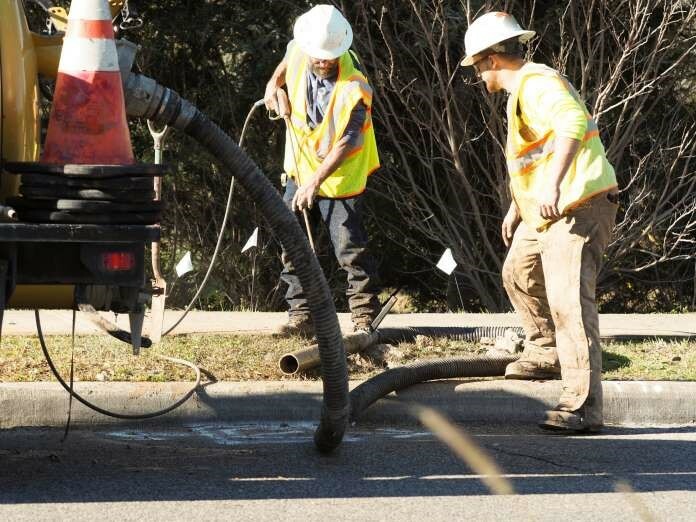 Additionally, we are able to use other excavation methods, such as trenching, sawing, and soft digging via vacuums to open new trench or expose existing duct or cable. We restore all sites to their pre-construction condition, including sod, landscaping, concrete, asphalt, pavers, etc. We have many crews trained in low-voltage premise wiring for both commercial buildings and large multi-dwelling developments. Our core capabilities include: relocation of central comm. rooms and coax/fiber services; pre-wire for cable, telephone, data, etc. ; installation of closet boxes with complete termination of inside lines and components; installation of simple network devices such as wireless access points, etc. ; installation or relocation of end-user ports; fiber to the building, comm. room, and individual units and/or offices; prewire for alarms, cameras, emergency phone, etc. As a quality assurance measure, we are equipped with technology that allows our techs to verify, via advanced certifiers, each drop, once terminated, for functionality as well as to test bandwidth.